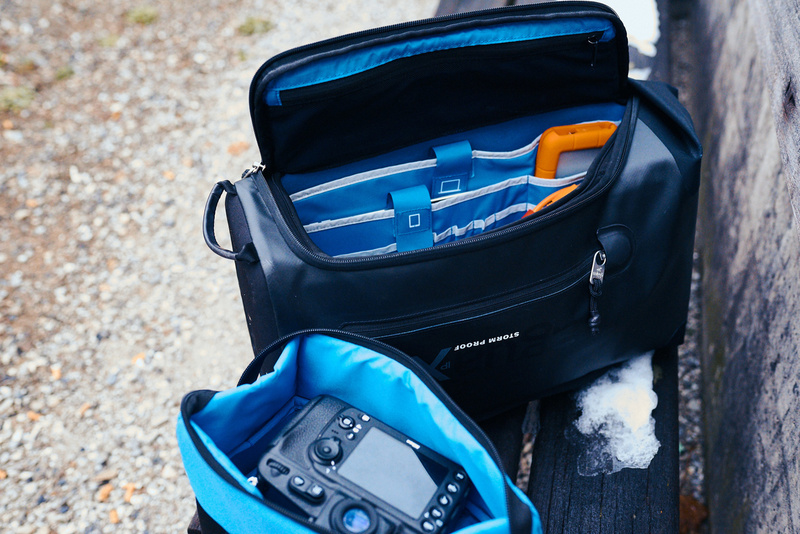 There are tons of photography bags available on the market, all meant to protect your gear better than the other one. 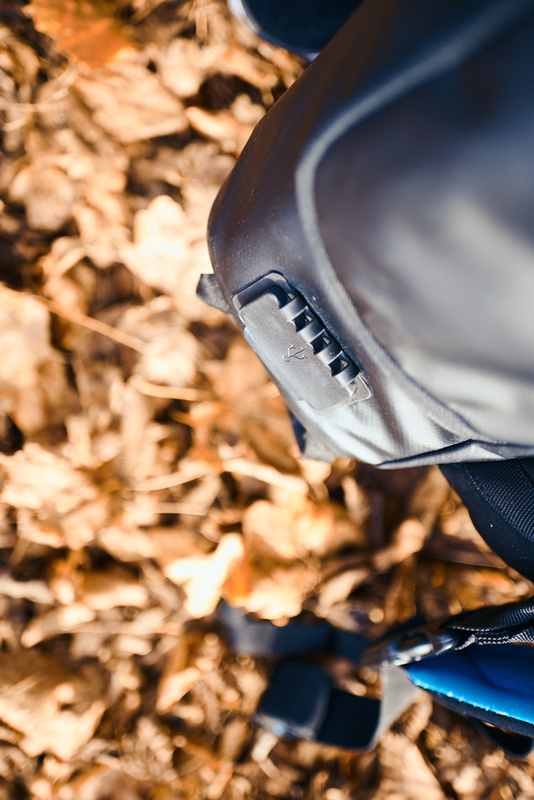 When I was given the opportunity to review the Miggo Agua Versa Backpack 90 I didn’t know what to expect that I didn’t already have with my current transportation gear. However, once I had it in my hands and felt how robust it was, I thought it may offer something different that I didn’t have yet. I finally found a bag I could walk under the rain with without having to add a protection cover, use as a regular backpack as well, and that was comfortable! Don’t get me wrong; I know there are quite a few bags that cover all the last three aspects aforementioned. However, I’ve rarely found a bag that combined all these characteristics and also had a few more advantages to offer. Let’s take a tour of the bag before seeing how it performs in the real world. Whenever I buy a new bag, the first aspect I look for is something robust. I’m not ever going to risk putting $10,000 worth of gear in a bag that cannot protect it. Being insured is great, but I’d much rather avoid breaking a lens or having a camera swamped with water. All the bags from ThinkTank and Lowepro I’ve owned were fantastic at carrying my gear and protecting it in a dry environment. They all came in with a rain cover which is less than perfect – put your bag on a wet floor and it’s drenched. With the Agua Versa, it’s a different story. 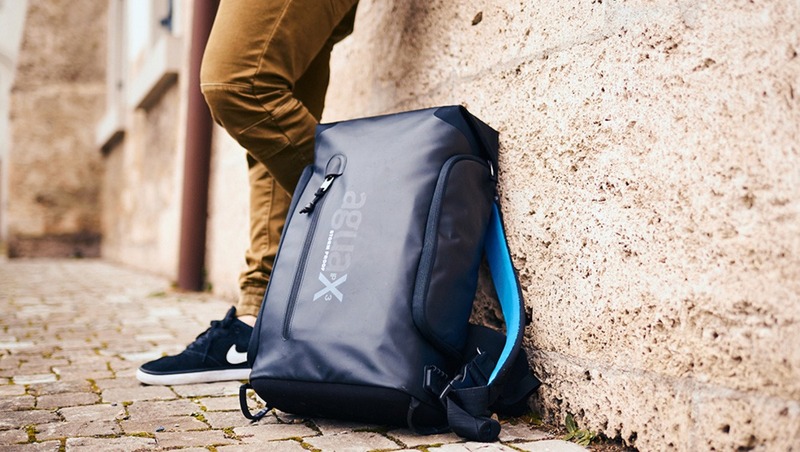 The bag is IPX3 Storm-proof resistant. What that means in the real world is that you can walk in the rain or the snow without worrying about your gear. It’s made of a double layer of Lycra and Tarpaulin, and all the zippers are water-resistant. 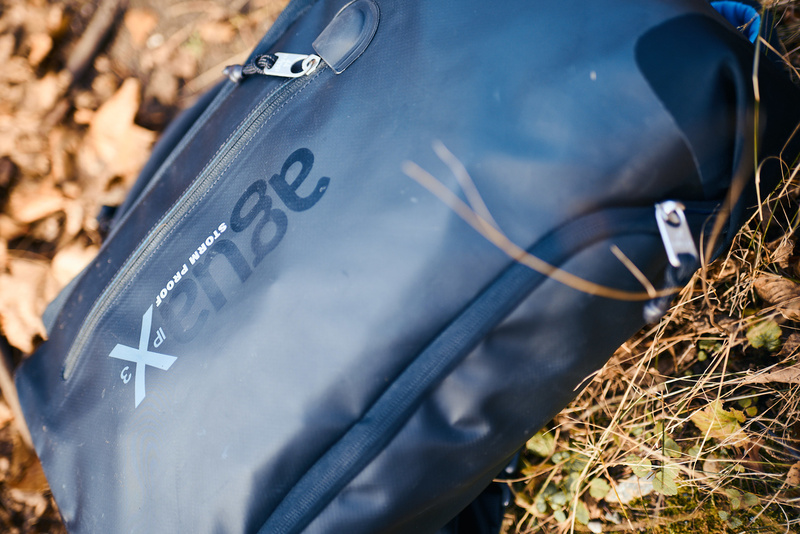 Having such a bag that can be used under the rain without a cover also means you can quickly take out your gear. It’s even more true with this bag as it is intended to be opened and used like a sling-style bag. Because of this design, the bag opens up on the side and not on top. For one, it makes taking your gear out easier and faster than most bags, and two you’re less likely to have someone stole something because a thief would have to figure out how to open the bag first! 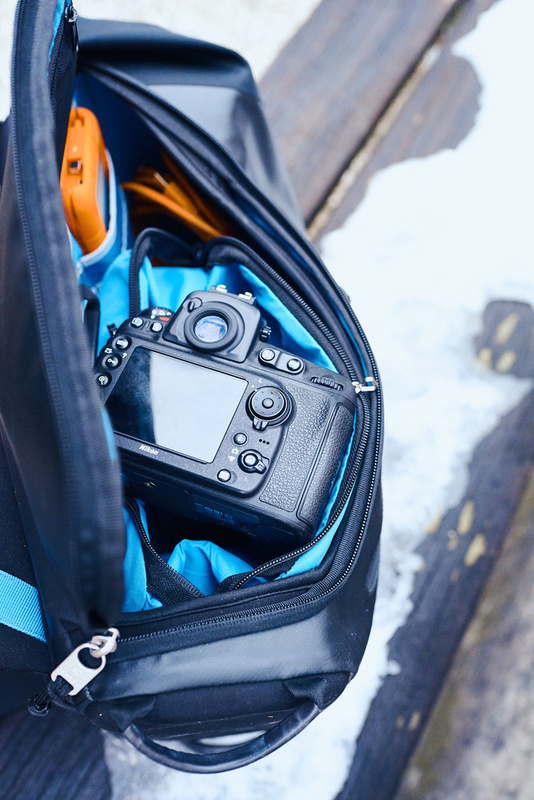 As I said in the introduction, this bag is a great camera bag but not also a fantastic everyday bag – which is how I use it most of the time. 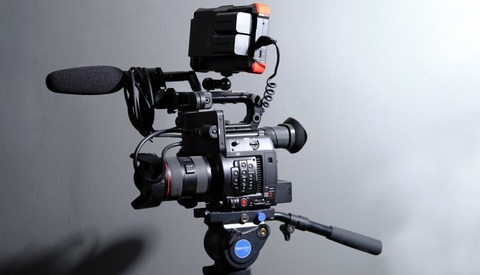 The Versa comes with an insert in which you can place about three lenses and a camera body. It’s roughly what most of us need 90% of the time. But once the insert is removed, the insert can be used as a compact Lycra handbag and the backpack can be used for anything. It has a dedicated slide in pocket for a tablet and another one for a laptop up to 15", it has a pocket for a USB charger with external sockets to charge your phone and other USB devices and enough room to carry most of your daily things. Other than that, the bag also has three additional pockets. One that’s accessible only if you take it off your back which is great to leave your phone or wallet. There is a second one on the left side that can accommodate a small bottle of water, keys, and other things. Finally, the last one is found on the side opposite to the straps and is great for things you’d ask someone else to take out – a flashlight, a corkscrew, or memory cards. Like the Drone Lander bag from Miggo I reviewed a couple of days ago, the Versa look isn’t to everyone’s taste. I personally like their futuristic and straightforward design. But the design is only a small part of a bag. Having something useful, robust, and versatile is much more critical in my opinion. 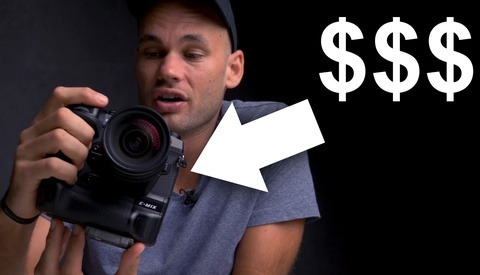 This backpack hits all the essential aspects of a camera bag but being able to convert it to an everyday bag is even better, it makes it more worth its price. I’ve used to carry my camera gear – Nikon D810 with a 100mm f/2.8 macro, 35mm f/1.8, and 58mm f/1.4 most of the time – but also used it to travel to different places. When the insert is removed from the bag, I could fit in enough stuff to travel for one to three days easily – note that I don’t carry my house with me when traveling. At first, having to open it on the side was weird and almost annoying, but once I got used to it, I found it more clever than the traditional way we open bags. It’s faster to take things out of the bag, forced me to stay organized, and I knew thief would not get how the bag worked. Available for $199, the Agua Versa is not cheap, but keep in mind how weather resistant it is and how versatile it can be. 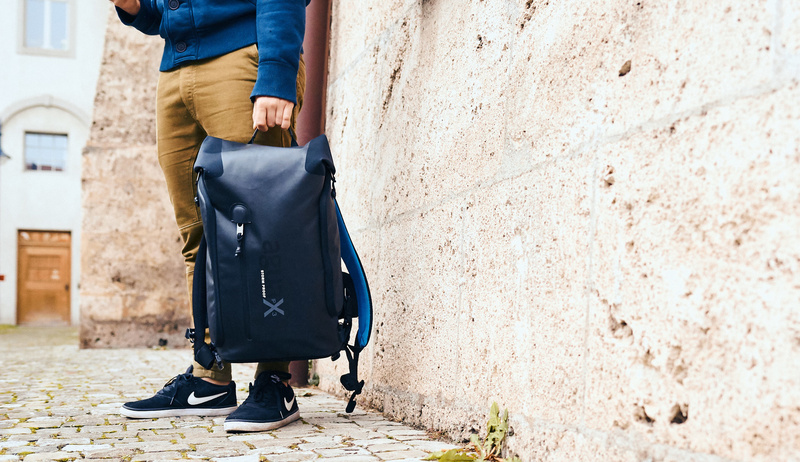 It’s not just a camera bag that you are buying, but a backpack you can use every day, to travel, to carry your drone, or just your camera gear. 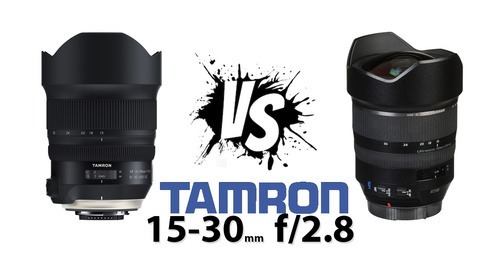 I’ve paid almost the same for bags from other brands that I could use only to transport my photography equipment, and I don’t think it’s worth it, except when it comes to specialty gear that needs dedicated bags. If you are in the market for a camera bag that is just that, it’ll probably look a bit expensive for you. However, if you’d love a bag that’s versatile and can follow you in any weather condition, this is definitely the one for you. It’s built like a tank to resist anything, and the compact insert makes it a great everyday bag. At first, I wasn’t sure I’d enjoy this bag, but since I’ve received it, I’ve put all my other backpacks in the closet. The price on most bags is pretty stupid...this one is no different. Sheesh. And to be honest, there are five more bags on the market that look similar. Way over priced by at least 100% when it's only IPX3,so really no better than the cheap Chinese ones that are advertised as splash proof. I have three Miggo camera bags. I have been using sling bags, shoulder bags, backpacks 25L for a year. The good thing is that it is durable and you just wipe it off when it gets dirty or watery. The disadvantage is heavy and there is no external pocket, so it is inconvenient to place a cell phone or other small thing. A few months ago I saw an article about the new release and said it would be sold in December, but not as expected. I think you need a pouch-like product that can be attached to a bag or bag strap like MagForce. didn't read the entire article ... didn't find a detailed table of specs either, so it could show how much does the bag weigh when empty! ?